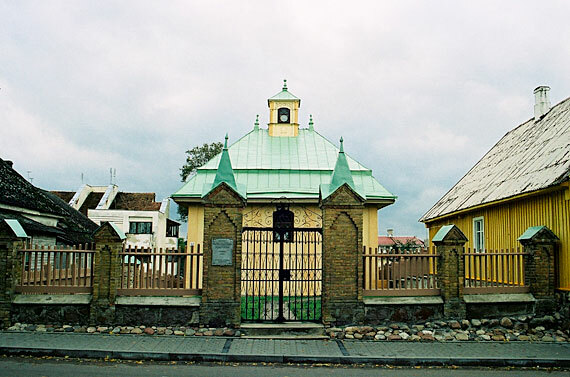 The Karaite house of worship or Kenesa stands in the north-western part of the Old town in a small fenced-off plot near Karaimų street. 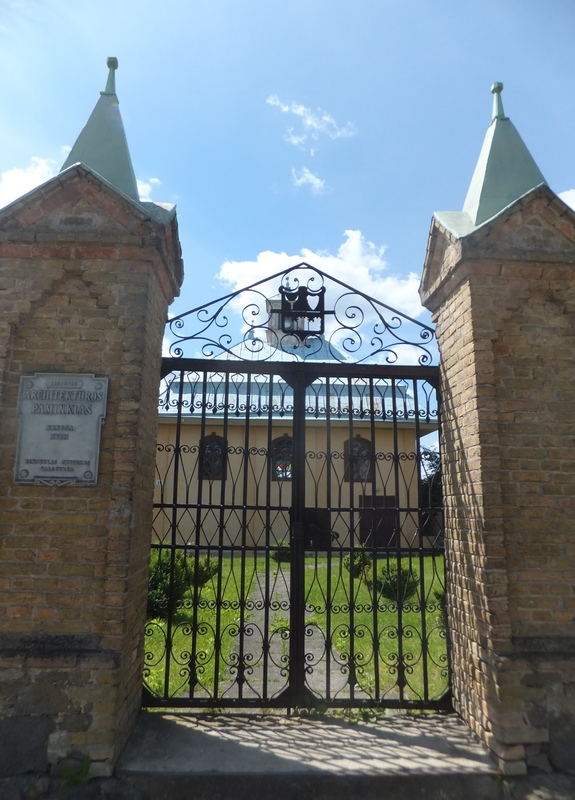 A kenesa has stood in Karaite territory since the fourteenth century in what is called the Small Town and it burned down in the early sixteenth century to be rebuilt in 1533. It was destroyed and rebuilt several times after that until the end of the eighteenth century. 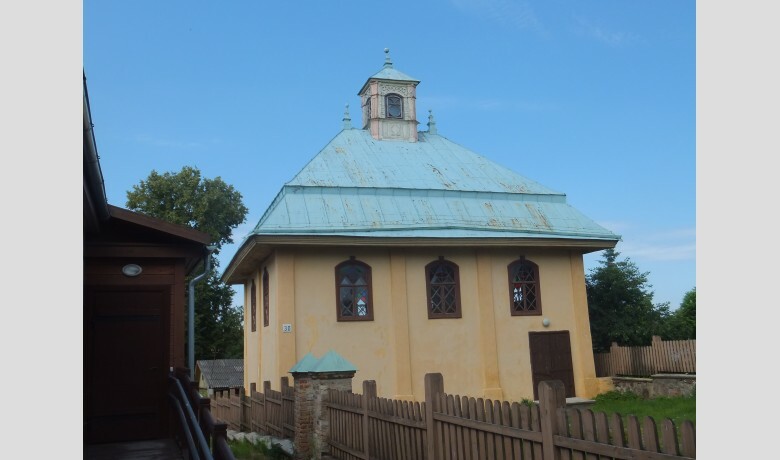 In 1727 and 1773 the building was damaged and restored. 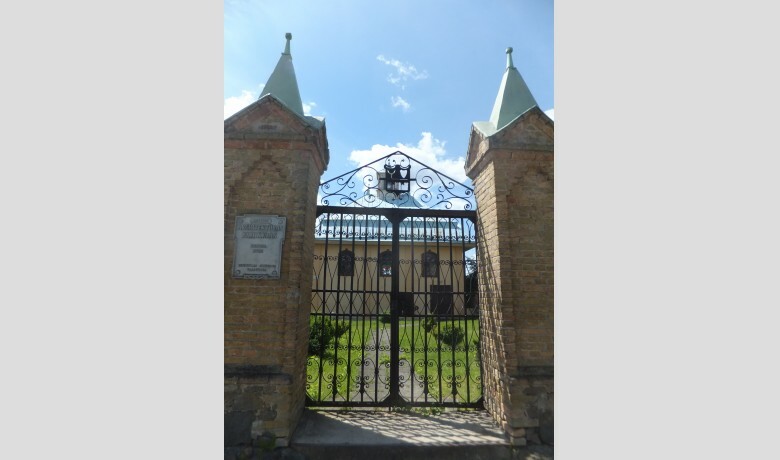 It burned down during the Fire of 1794. the Slutsk and Crimean Karaites gave funds to rebuild it but it was burned once more by the French in 1812. The wooden kenesa was rebuilt only in the mid-nineteenth century. In 1903-1904 it was rebuilt according to a design drafted in 1898-99. 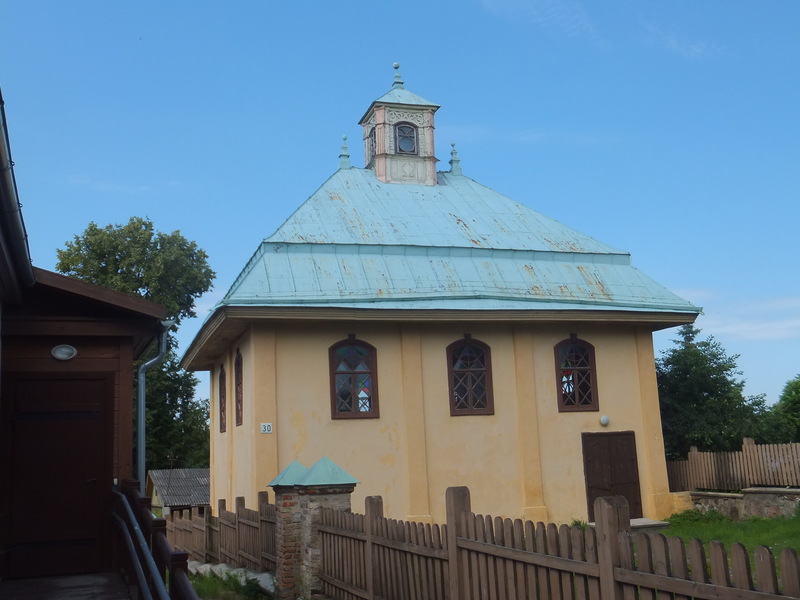 Work was carried out on the initiative of, and with funds raised by the Karaite cleric Feliks Malecki. Work was assisted by the engineer Mikhail Prozorov. A school functioned next to the kenesa. The building is square, of one story and two rooms. The hall, or men’s section is entered via three entries from the porch. The porch has steps leading up to the balcony which is set aside for women. The balcony is supported on four wooden columns. The ceiling has an octagonal cupola and is painted blue. The foundations are of stone and plastered. The planed log walls are plastered on the inside and outside. The roof has four slopes and two levels with an oblong light on top. The main facade of the building is asymmetrical, arched windows stand high with their profiled piping.